After your case review, your first acupuncture appointment will take about 60 minutes depending on your condition so please schedule accordingly. The acupuncture points we choose will depend on your condition, but generally we use anywhere between 20-50 needles for each treatment. Once the needles are inserted, we will leave you to lie comfortably for 30-40 minutes with the needles in place. We will check on you after the first 10 minutes to be sure that you are doing well. Many people find acupuncture deeply relaxing, and it is not uncommon for patients to fall asleep during this time. Spend some time thinking about what you would like to achieve from your acupuncture treatment. What are your expectations? What questions or concerns do you have about acupuncture? Jot down a few notes to bring with you to your first visit. The more openly we can communicate, the better we can help you. Be realistic. If you have several conditions or symptoms you would like to address, please rank them. On your first visit, we will ask you primarily about your chief complaint. Secondary issues will also be noted and addressed as treatment progresses. Start noticing how you feel each day and make a few notes. With respect to your chief complaint, try to answer these questions: When did this condition first appear? Is this a new condition or a recurring illness? What brought it on? What triggers it? Is your condition getting worse? To what degree does it interfere with your daily routine, work or sleep? What aggravates it? What provides relief? What time of day does it bother you the most? the least? Be as descriptive and specific as possible. 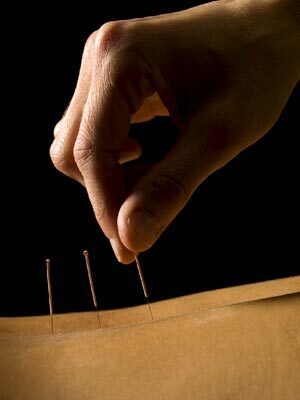 The following suggestions are provided to help you have a safe and relaxing experience with acupuncture. In order to reduce the risk of side effects, we require my clients to adhere to certain precautions. Please read this section carefully. If you have any questions, please contact us prior to your first treatment. Eat a meal within 2 hours prior to your visit. Acupuncture is not performed on individuals who are fasting. Being overly hungry increases the risk of nausea or dizziness. At the same time, please do not overeat or eat any foods that cause your stomach to be upset (for example, rich, greasy, fried, or extremely spicy foods). Avoid heavy exertion (including sexual activity) immediately before and after treatment (i.e., within 2 hours). Set aside enough time so that you are not rushing to and from your visit. Please schedule your activities on the day of your visit accordingly. That includes no heavy exertion (i.e., kickboxing, sprinting, heavy lifting) for the rest of the day. of the acupuncture points that are commonly used are located between the wrists and elbows and the ankles and knees. Gowns are available, however. Side effects are infrequent, but may include the following: lightheadedness, dizziness, sleepiness, euphoria, nausea, slight bruising, residual muscle aches. Any of these side effects should only last a short time. Staying hydrated after your treatment will help to minimize these side effects, as will resting after your treatment. Any side effects should be reported at your next visit. On rare occasions, one's original symptoms may briefly get worse, or "flare-up," after a treatment. A flare-up typically occurs later on the day of your treatment and should only last for a few hours. After a flare-up, your symptoms should begin to improve. In the long run, acupuncture typically does not make symptoms worse. In cases of chronic pain, your original pain may improve and then unmask less obvious pain in the surrounding areas. The pain will feel like it moved.